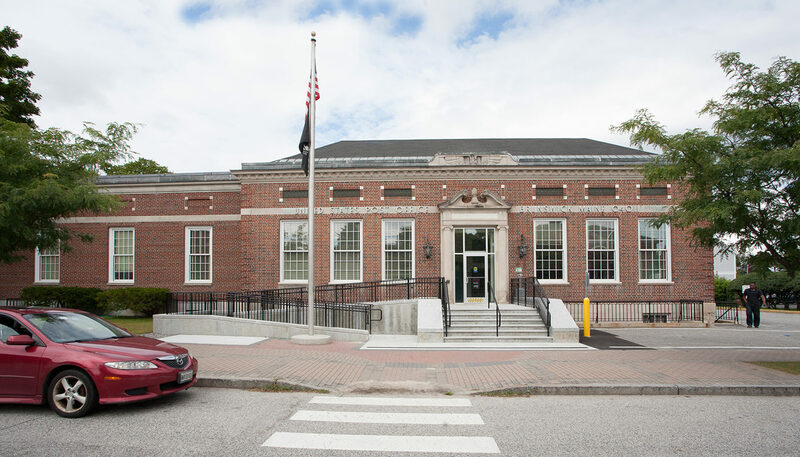 This post office recently celebrated its 100-year anniversary with the Town very excited to keep this historical structure operational for years to come. This scope of work consisted of WBRC reviewing existing building codes, land use ordinances, Town of Camden codes, USPS standards for the preparation of a feasibility report of required improvements and repairs at the facility. This report included identification of required repairs, identification of code compliant issues, prioritization of said repairs, a breakdown of budgetary items for the evaluation of the USPS to complete required repairs over the next several years. Once the repairs are prioritized by the USPS, WBRC will assist the USPS in the design and CA phases of the identified repairs. 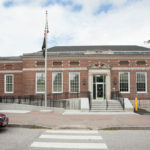 Once repairs and improvements are identified/funded, a review by the Maine Historic Preservation Commission and Camden Historical Committee will be required. 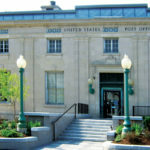 The project consisted of the replacement of a deteriorating historically significant exterior windows and doors, removal/replacement of a storefront, interior/exterior lighting upgrades, signage and interior ceiling/wall plaster repairs due to past roof leaks at the existing post office in the heart of the historical downtown district near Acadia National Park. 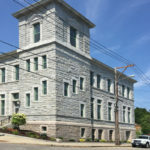 The facility improvements required review and approval from the Maine Historic Preservation Commission and Bar Harbor Historical Commission. 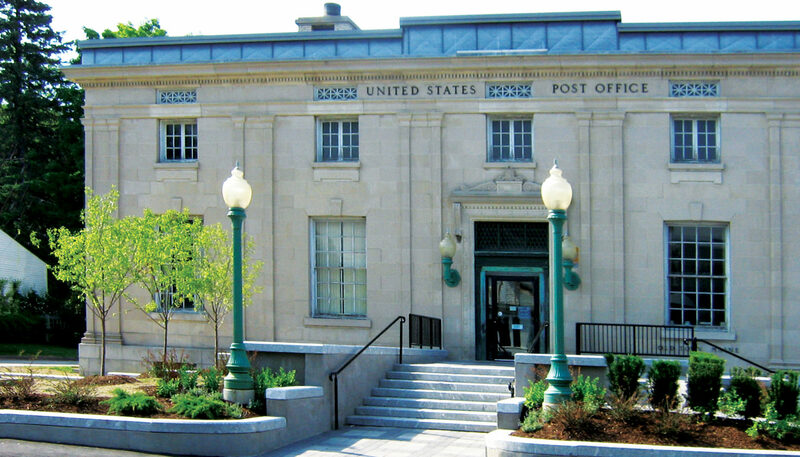 Know as the oldest continuously operating post office in the United States, this project included the replacement of a deteriorating main entrance stair and ramp facilities including granite and concrete stair system, handrails, snow melt heat tubing system, plantings, hardscape, lighting and signage. Other improvements to the facility included a new roof system on two different levels, replacement of roof drains, overflow scuppers, gutters, new flashing and interior ceiling/wall plaster repairs due to past roof leaks. 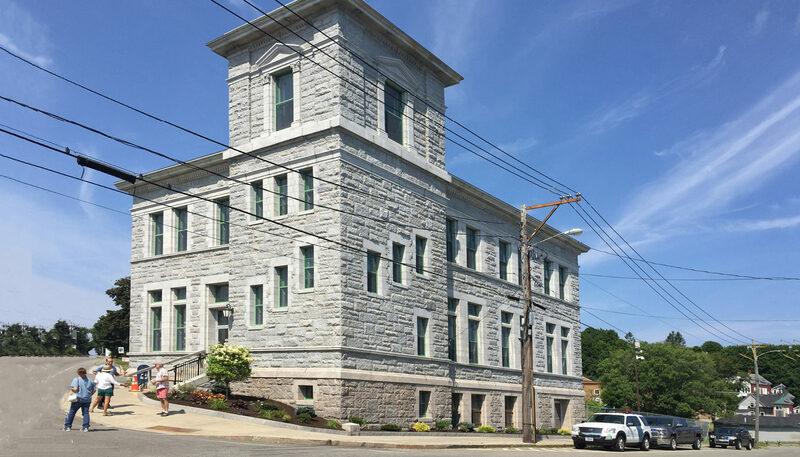 The facility improvements required review and approval from the Maine Historic Preservation Commission and Castine Historical Committee. The project consisted of the replacement of a deteriorating main entrance stair and ramp facilities including granite and concrete stair system, handrails, snow melt heat tubing system, plantings, lighting and signage. Other improvements to the facility included the construction of a new carrier ramp, exterior door replacement, exterior painting, parking lot improvements, copula reconstruction and interior/exterior lighting upgrades. 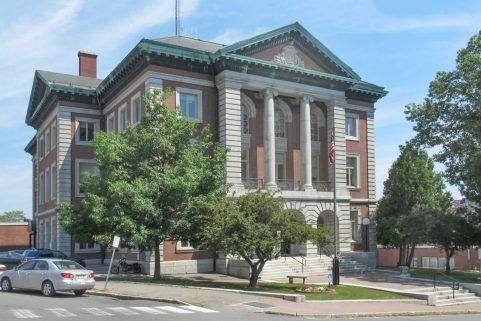 The facility improvements required review and approval from the Maine Historic Preservation Commission. 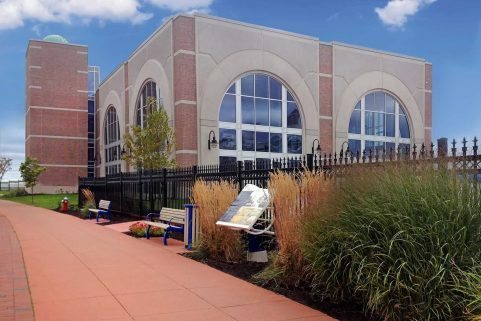 The project consisted of the removal and replacement deteriorated parking lot, concrete retaining wall, site lighting, loading dock stairs and sidewalks. Other improvements to the facility included restoration of the site, storm drainage system, underdrain system, postal vehicle “plug-in” stations, signage, landscaping, a new roof system, replacement of attic insulation, replacement of roof drains, gutters, new flashing and interior ceiling/wall repairs due to past roof leaks. 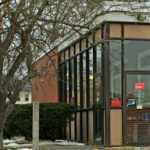 The age of this post office was less than 50 years old, therefore did not require a historical review. 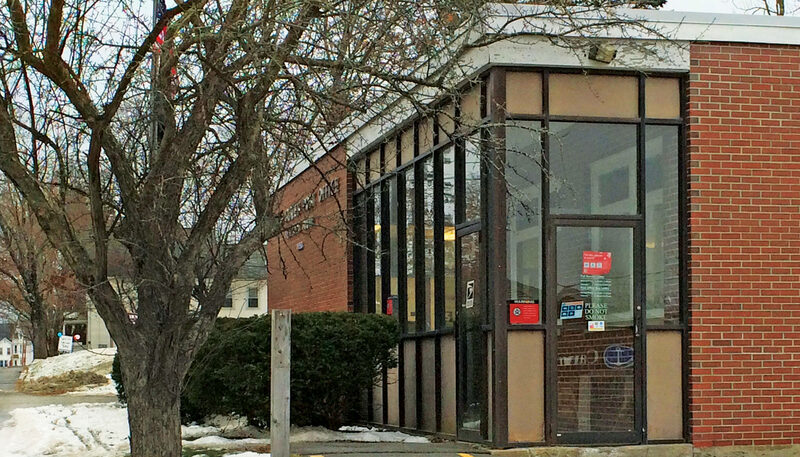 The project involved replacement of a deteriorating, non-compliant ADA main entrance to the facility, which included removal/replacement of a storefront, removal and replacement of a vestibule, new concrete sidewalk, interior/exterior lighting and signage. Other improvements to the facility included roof drain piping repairs, boiler room/oil storage improvements and parking lot improvements. The project required construction of a new carrier stair and ramp including granite and concrete stair system, handrails, snow melt heat tubing system, lighting and signage. Other improvements to the facility included the installation of an exterior door, parking lot improvements and LLV exterior receptacles. The carrier ramp was designed to provide improved circulation and workplace efficiencies for the postal employees. 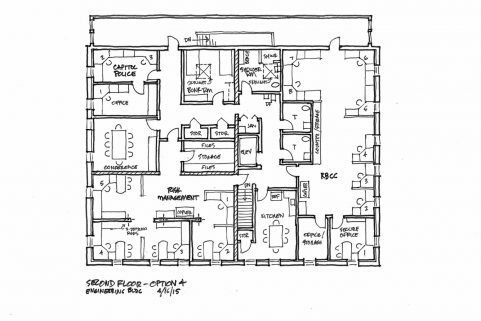 The facility improvements required review and approval from the Maine Historic Preservation Commission. 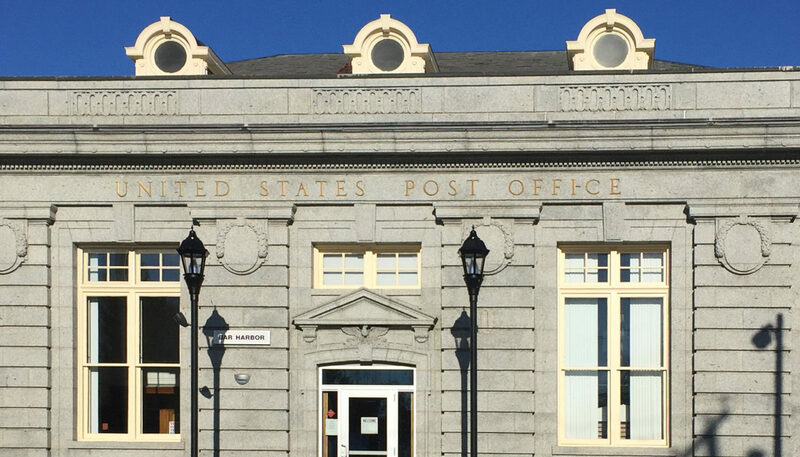 The project consisted of the removal and replacement of an EPDM roofing system on this historical sensitive post office building in the heart of downtown Orono. Improvements included a new roof system on three different levels, replacement of roof drains, overflow scuppers, new flashing and interior ceiling/wall plaster repairs due to past roof leaks. 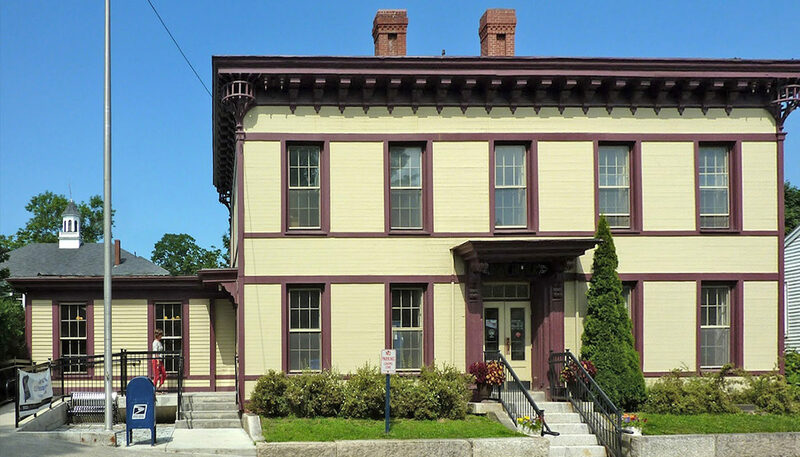 The facility improvements required review and approval from the Maine Historic Preservation Commission. 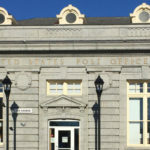 WBRC was called upon to review exterior envelope infiltration, moisture and humidity concerns, and indoor mold and air quality problems at the late-19th Century Eastport Customs House, currently occupied by the U.S. Post Office. 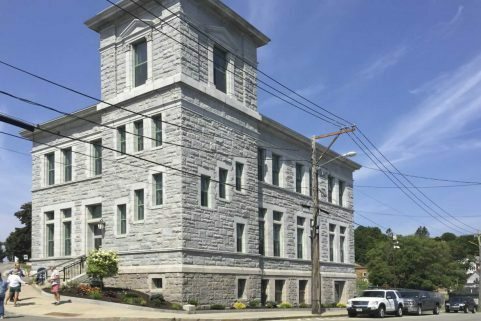 This project relied upon a unique understanding of the granite masonry building exterior and included the exterior envelope expertise of Building Envelope Specialists (BES). WBRC and BES used three-dimensional building modeling to first understand how the structure was failing at and within its exterior, and then determined the most cost-effective solutions that met the owner’s criteria. A thorough exterior renovations package was developed by the design team to address energy, envelope performance, and indoor air quality issues. 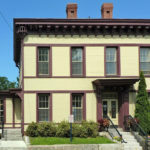 The project received a 2015 Maine Preservation Award.